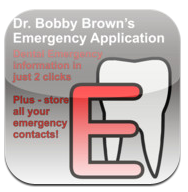 At Dr. Bobby Brown’s office, we will submit your claim directly to your insurance company electronically. We will even provide you with a complimentary benefits check to see what you are covered for. 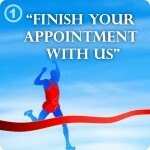 When you finish your appointment, you pay us, and we submit your claim. Then in a couple of business days, your insurance company reimburses you! Bonus! Use your rewards cards to earn rewards points. After all, you get your money back from the insurance company in a couple of days anyway. 1. You finish your appointment and it’s $100. 2. You pay us and we submit your claim to your insurance company instantly electronically (so you don’t have to do it) . The privacy act prohibits us from finding out what you are covered for. 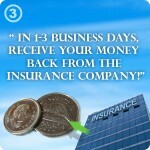 So please contact your insurance company or consult your company brochure to find out. ask your insurance company if you are eligible now and if not, when ? Ask your insurance company: how many combined rootplaning and scaling units are allowed per benefit year? Are these units per benefit year, calendar year or rolling months? Ask your insurance company: is this contributed by my plan? Ask your insurance company: What is your yearly maximum? When does my benefit year begin and end? 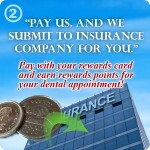 Then we can offer you EZ payment plans (0% interest) on services such as implants, veneers, crowns, and bridges. “Fit your budget” payment plans can get you what you want from eating the foods you used to to having that movie star smile. Ask us about it today! Did you know: There is no tax on the majority of dental services! That’s right – no HST, GST, PST, or any ST! The services that are taxed are purely cosmetic such as whitening.